Herbicides for strawberries aid in the successful growth and development of strawberry crops. When weeds are allowed to take over, strawberries become quickly damaged and weeds may leach the minerals and nutrients from the soil the strawberries need. This causes poor development or even death of the berries, according to the Washington State University Extension. Before planting strawberries, the Washington State University Extension suggests a "pre-plant fumigation treatment" of the soil you plan on using. Application of the herbicide methyl bromide, a blend of methyl bromide and chloropicrin, or metham on its own is effective in controlling weeds. Wait approximately 14 to 30 days after application of pre-plant herbicide fumigation treatments (shorter time for lighter soil and longer wait time for heavier soil) to be sure the environment is safe for strawberries. Strawberries may be injured if contact occurs with metham or other herbicides. For strawberries that have recently been planted, use the herbicide for strawberries known as napropamide. Napropamide controls certain broadleaf and grass weeds, but is not effective on weeds that have already emerged from the ground, according to the Washington State University Extension. Wait until a satisfactory amount of strawberry plants have become established; napropamide can stunt strawberry growth if applied too early. Other new plant herbicide options for strawberries include sethoxydim and clethodim. 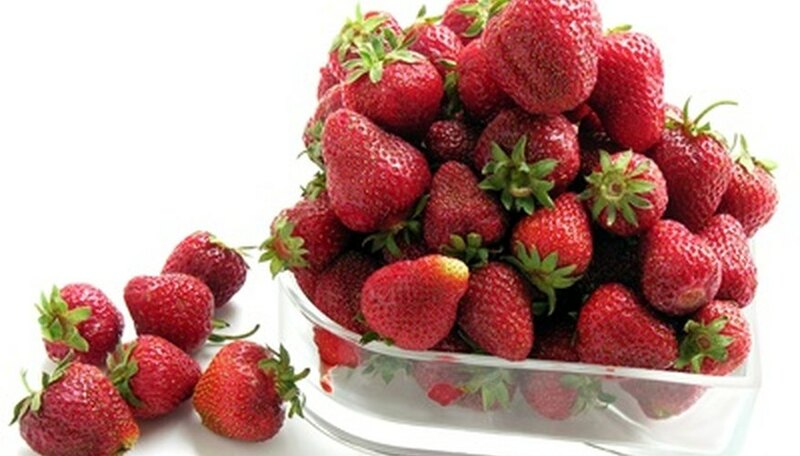 For established strawberry plants, use herbicides for strawberries only on well-established plants, as directed by the Washington State University Extension. Simazine, an established plant herbicide, is good for control of broadleaves and grasses. Application of simazine must occur during the winter season (November to December) before weeds make an appearance. Also, terbacil can be used from November to January, or napropamide may be applied from October to March.